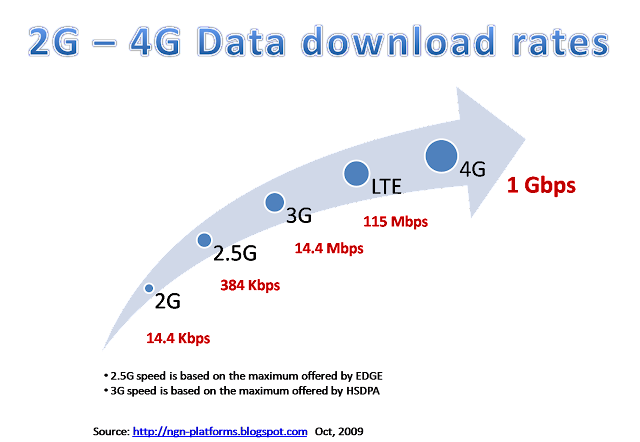 What is the speed of LTE networks? Let us take for example, you want to download a 1 MB movie file using your mobile broadband Internet. Using 2G technology, it takes you 10 minutes, to download a single 1 MB movie file. Using 2.5G technology, you can download nearly 30 such movie files in 10 minutes. Using 3G technology, you can download, 1000 such movie files in 10 minutes. LTE technology would allow you to download 8000 movie files in 10 minutes.